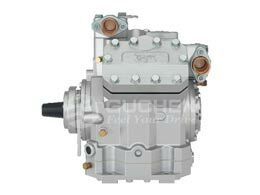 Application: • Trucks, commercial vehicles, etc. Airpro 2000 DC powered truck air conditioner is the high efficiency 12V/24V battery-powered truck air conditioning system that keeps cabs cool without idling engine, this provides a comfortable climate for your long-distance routes with free fuel, day or night, and avoiding additional accommodation expenses. 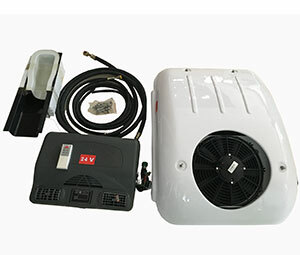 No need to install the compressor on the engine, just connect the 12V truck air conditioner with the Battery, and this battery powered truck air conditioner units are less expensive, reliable, fuel saving, quiet, and easy to operate. f) Use environmental friendly R134a refrigerant. 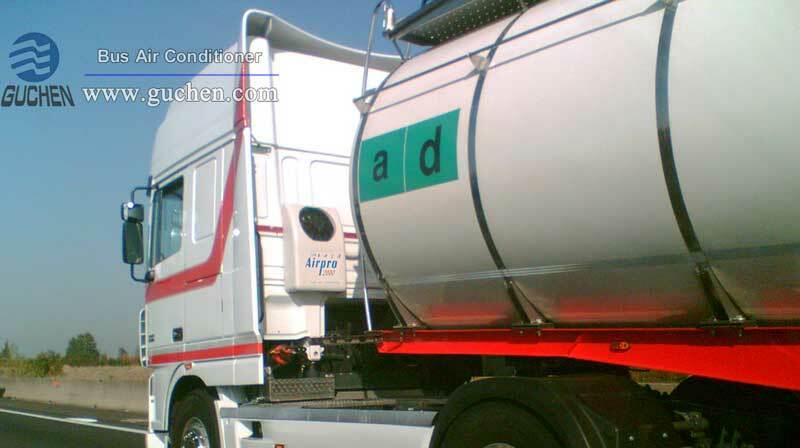 g) All trucks, commercial vehicles, special vehicles can be installed. 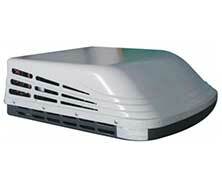 Airpro2000-DC powered air conditioner Photo◆ 12V & 24V DC powered ( battery powered truck air conditioner). 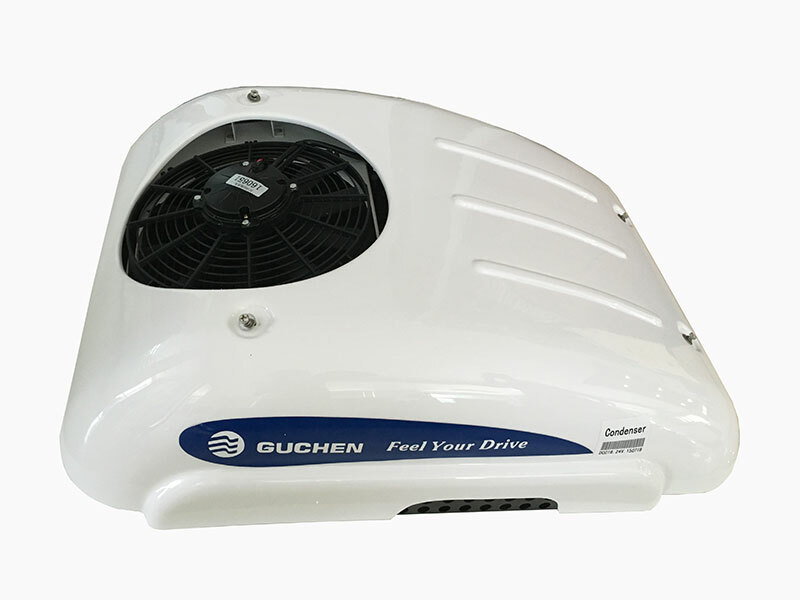 ◆ Cooling capacity 1600W (1400 Kcal/h). 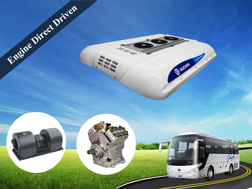 ◆ Functioning with engine off under night mode, save energy and Eco-friendly. ◆ Mechanical panel, more stable. The evaporator with two manual button: one is for turn on/off, and another is for adjusting the air flow, reliable performance and easy maintenance. 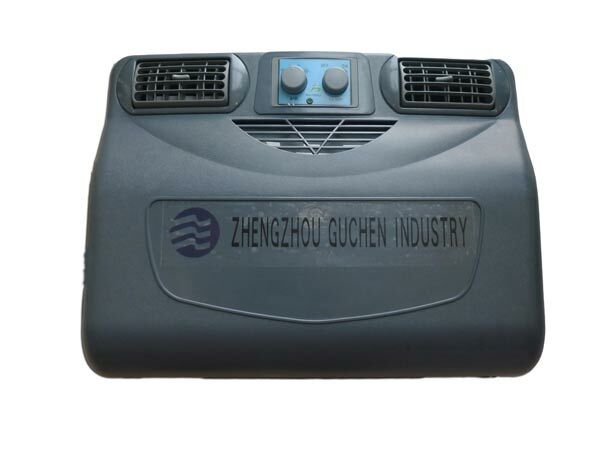 ◆ The condenser adopts corrosion-resistant reinforced plastic fiberglass, durable and long life-span. ◆ Make work more comfortable, it incorporates active carbon filters, so that the incoming air introduced in the cabin is free of dust, pollen and airborne particles (optional). 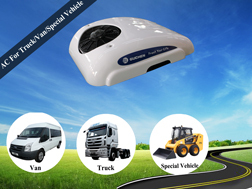 ◆ Airpro 2000 DC Powered truck Air Conditioner can be used anytime, anywhere and practically maintenance free and zero operating cost, fuel savings of 10000 Gallon one year (estimated, it will be fluctuated according to your local climate). 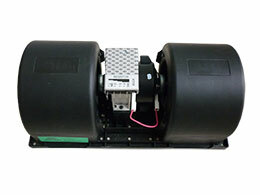 ◆ The compressor using totally-enclosed, DC powered and direct connecting. 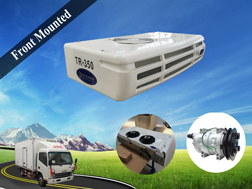 ◆ 12 months warranty of DC powered truck air conditioner in accordance with our general sales conditions. 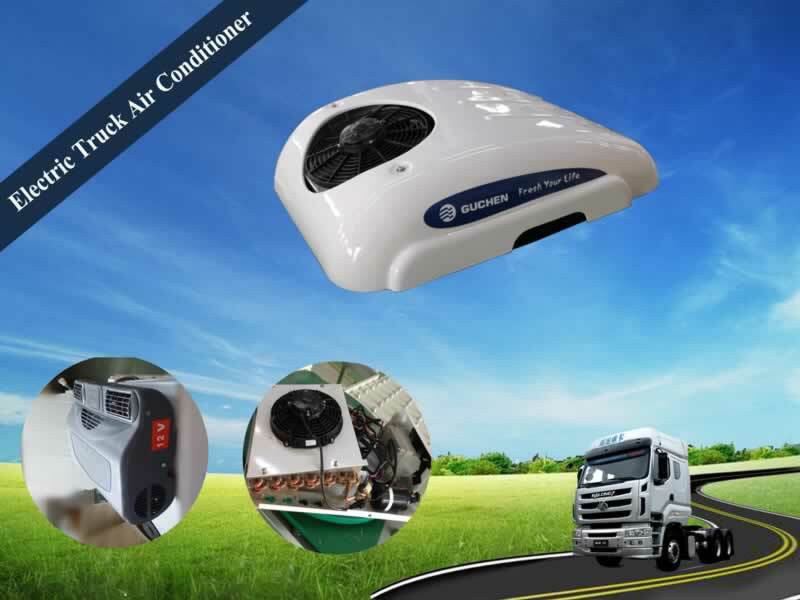 Battery powered truck air conditioning is mainly used to cool down the truck cabin during the driver’s rest time and during loading and unloading operations, especially when the vehicle engine turn off. 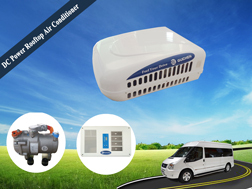 Airpro 2000 is the back wall mounted also called as split truck cabin ac unit, its condenser install on the back wall of truck cabin, evaporator mount on the inner side of truck cabin to blow cool air. So in this application case, the Airpro 2000 mount on a semi-truck, you can see its condenser on the back wall of truck cabin, and looks beautiful! Usually the Airpro 2000 truck cabin air conditioner mounts on the back wall of truck cabin, but here is a special customer case installation. Our customer Mr. Syed mounts the air conditioner on the truck crane, and condenser mount on the side of crane, evaporator mount on the inner side of truck cabin. So it is a really creative mount type for Guchen Airpro 2000, but it turns out that this mount type also can work very well! 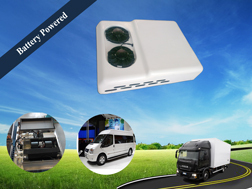 Airpro 2000 DC powered truck air conditioner mainly consists of condenser, evaporator and compressor. The condenser is equipped with a compressor, and the condenser which is installed on the external rear wall of the truck cabin, and the evaporator which is mounted on the interior truck cabin wall and it should be perpendicular to the ground, in order to drain off the water from the evaporator, (Please look at the installation method of DC powered truck A/C). This split cooling system design offers maximum flexibility in positioning the separate components.